Buy 16 or more for $27.54 each. 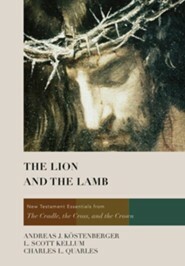 The Lion and the Lamb presents all the essentials first year New Testament student need to grasp a global perspective on the Christianity's authoritative text. 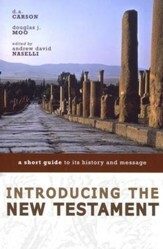 This text open by focusing on the historical, political, and religious context in which the New Testament is written. 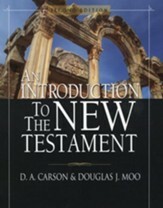 Following, the reader is then introduced to each New Testament book individually and in relation to its genre. The theological message for each book is explained, and the major issues pertaining to authenticity, authorship, date, occasion and the like are also covered in detail. Helpful graphs, charts, and maps complement the material and well developed study question and further reading bibliographies provided. As a hardback construction is durable and ample space exists for students to underline, circle, notate, or otherwise keep track of what they are learning. Andreas J. Kostenberger is professor of New Testament and director of Ph.D. Studies at Southeastern Baptist Theological Seminary in Wake Forest, North Carolina, and director of acquisitions for B&H Academic. L. Scott Kellum is associate professor of New Testament and Greek at Souteastern Baptist Theological Seminary. Charles L. Quarles is vice president for Integration of Faith and Learning, professor of New Testament and Greek, and chairs the division of Christian Studies at Louisiana College in Pineville, Louisiana. 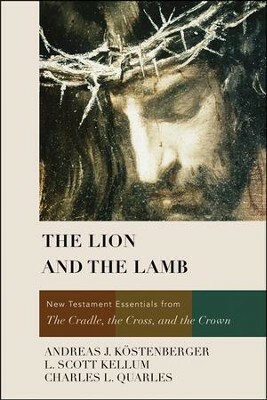 I'm the author/artist and I want to review The Lion and the Lamb: New Testament Essentials from the Cradle, the Cross, and the Crown.